I love to hear about instances where amateur or unknown researchers make amazing discoveries where science missed the mark. This is one such story. In the high deserts of southern Peru, just 200 miles south of Lima, lies one of the driest places on earth. A place where it only rains about 20 minutes a year on average. And only if you travel by air to the region, can you see one of the greatest ancient mysteries on earth. Grayish rusty lines intersect in all directions across the barren landscape. Known only as The Nazca Lines, they’ve stumped scientists for the last eighty years, or since air travel over the region was humanly possible, as they can’t be seen to any degree from ground level. 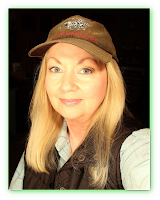 Which has fueled theories of alien activity by ancient astronaut theorists. Most notably, researcher and author of Chariots of the Gods, Erich Von Daniken. Why would the lines only be visible from the air at a time when humans were incapable of air travel? Within the entire expanse, there are over 800 straight lines, 300 geometric figures, and 70 plant and animal figures called biomorphs. 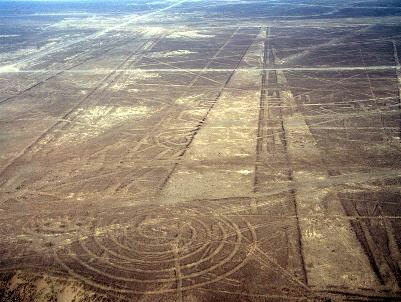 The lines are believed by scientists to have been created by the Nazca people who occupied the area from A.D. 1 to 700. The lines or geoglyphs are “negative images” supposedly created by removing rocks and sand from the oxidized, rust-colored ground revealing the gray sand underneath. I’ve often wondered if that was all there was to the construction since they’ve lasted all those thousands of years, but the severe lack of rain in the region has allowed the lines and drawings to remain intact, according to geologists. A few researchers have attempted to solve the mystery of these lines over the years. National Geographic Explorer In Residence, Johan Reinhard theorized that the lines were created in order to lead to where rituals were performed to ask the gods for water, since they determined the trapezoids were used to mark areas related to water, though not to find water. This theory has never set well with me, considering these thousands of lines were painstakingly created in one of the hottest, driest regions of the world, and could mostly only be seen from the air. Not by humans walking on the ground. What good would were they for finding water if no one on the ground could see them? But a new researcher may have shed some new light on the subject, and it may offer more support for the alien theory too. Chuck, or cfapps7865 on Youtube has done some interesting geometry experiments on the lines and found some curious correlations between Nazca and the temple in Southeast Asia known as Angkor Wat clear on the other side of the world from Peru. It seems the Nazca lines may be ley lines. Check out his video and tell us what you think. 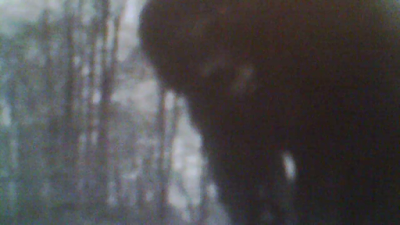 Almost Live - More Bigfoot Stuff! Science Vs. The Psychics - Are You Psychic?